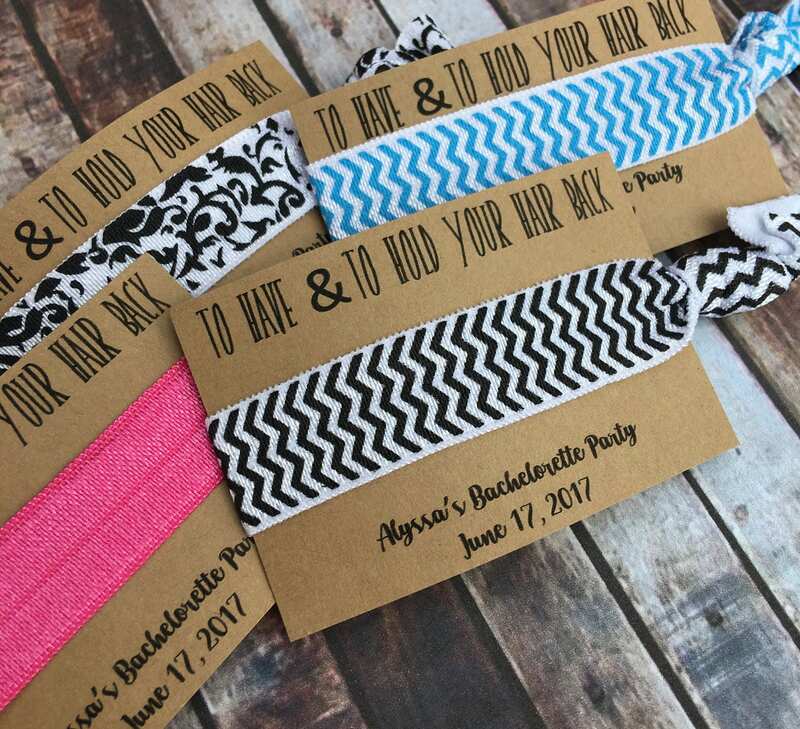 These Bridal party (Bachelorette) Gifts are the cutest little addition for your bridesmaids!! Want something customized? Just message me with color combinations and I'll make sure they go with your order. 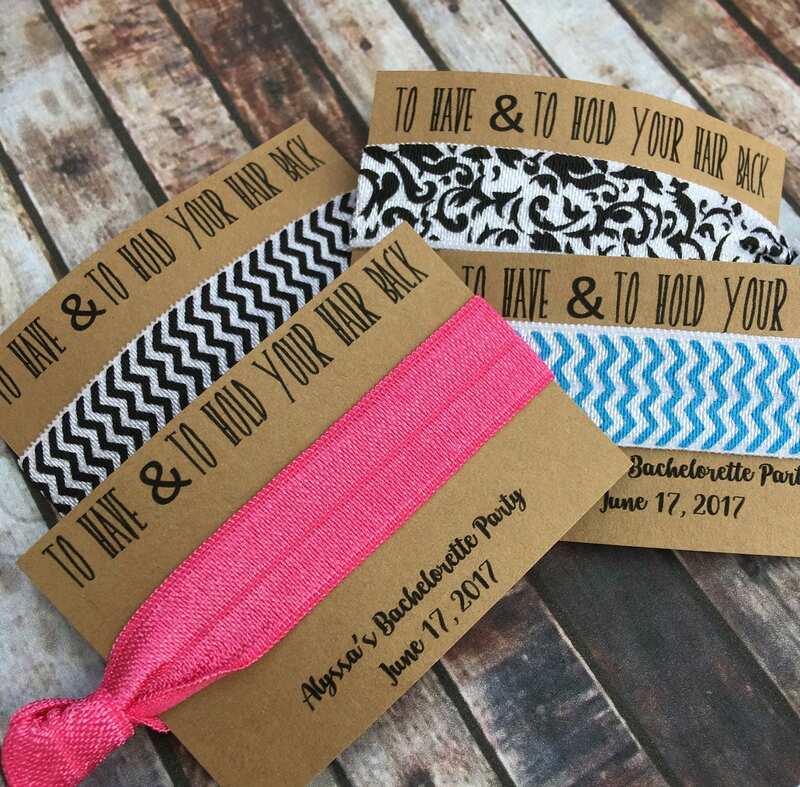 Each Order comes with 1 Hair tie attached to the kraft backing. 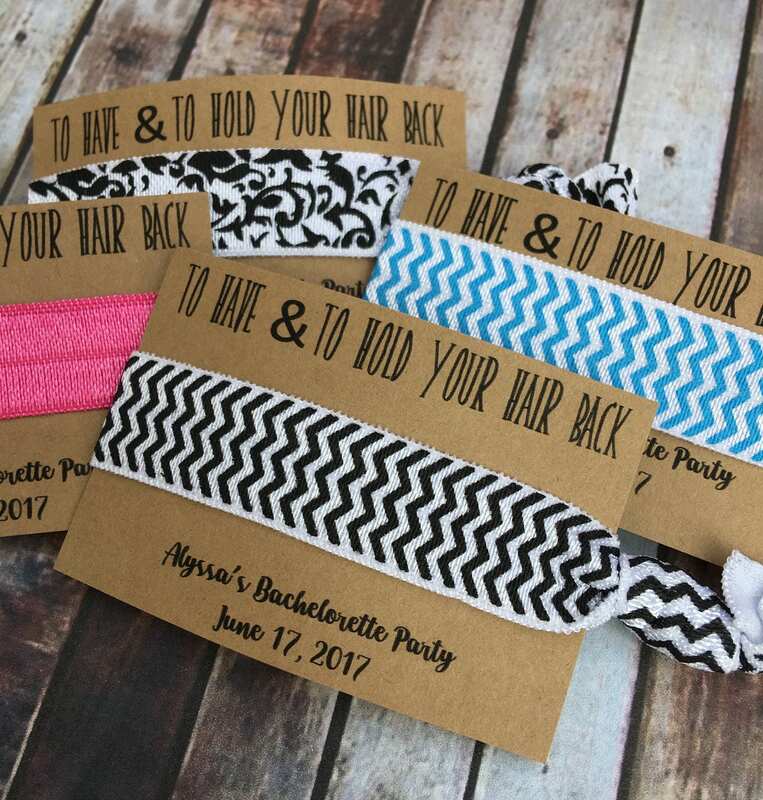 Our elastic is made with a soft and stretchy elastic that is soft and gentle to your hair and won't pull and damage your hair like traditional hair bands. Thanks for shopping! Message me with any questions!